Just as Uber has transformed the public transportation industry, Crelow now hopes to transform the commercial real estate industry, particularly where small tenants are concerned. 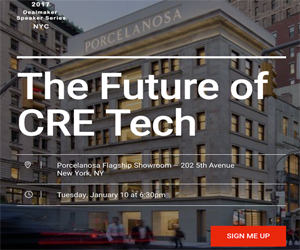 The revolutionary tech app works to help small tenants, who are traditionally underserved in the commercial real estate industry with office space. Unlike traditional platforms, which force prospective tenants to search through hundreds of listings, Crelow works like a matchmaking service. In this demand-driven marketplace, the company has a basic goal of assisting tenants in finding space that meets their specific needs, rather than having to make do with space that is too large simply because it is all that is available. In fact, this online site does not have any listings. Furthermore, rents for available spaces are not even listed on the site. The available market is only established once tenants have provided information about themselves and what they are seeking. Like a dating site, Crelow functions in a way that asks the tenant to make the first impression. Information is posted on Crelow’s public deal board, which is made available for landlords to view. Landlords can also bid to receive requests. If a landlord likes what they see from a tenant, they can then make a connection. Crelow’s site specifically targets small tenants. According to the company, small tenants comprise approximately 80 percent of transactions. Furthermore, while many brokerages tend to focus on spaces with 5,000 square feet or more, approximately 80 percent of tenants actually require space under that threshold. Unfortunately, many growing companies in need of more space find it difficult to get brokers to pay attention to their needs. Given that finding office space for a small tenant can be just as time-consuming as locating space for a large tenant, but the commission for a large tenant is typically greater, it’s little wonder that brokers tend to focus on the big fish. Crelow brings in revenue only when a lease is signed and a landlord has agreed to give a rebate to the tenant. Such rebates are typically for the commission amount that would have been paid to a broker representing a tenant. Approximately 20 percent of that rebate is collected by Crelow as a fee for services provided. After first launching in Minneapolis, Crelow has since expanded into other markets, including Houston, Denver, Seattle-Tacoma, and Phoenix. Most recently, the company opened a market in the Bay Area, which tends to be somewhat unique in the commercial real estate market, largely due to the presence of so many tech giants. While this market has traditionally focused on large office spaces, there are still many smaller tenants who have remained underserved in the region—something that Crelow hopes to change. Due to the complexity of the local market, even 5,000-square-foot spaces are considered small in the Bay Area market. Crewlow is hoping to bring its services to the Bay Area and transform the way small tenants locate office space.